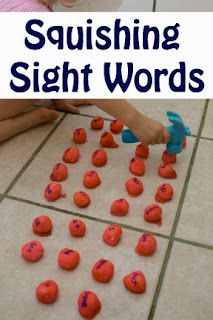 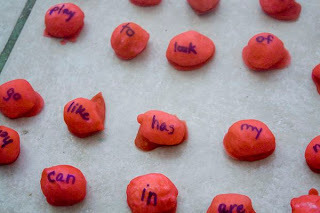 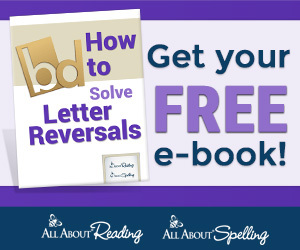 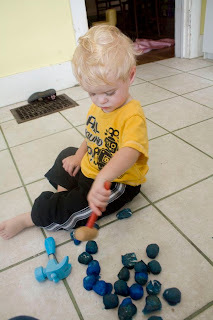 Practicing sight words can get to be a bit of a bore when you just repeat them each day. 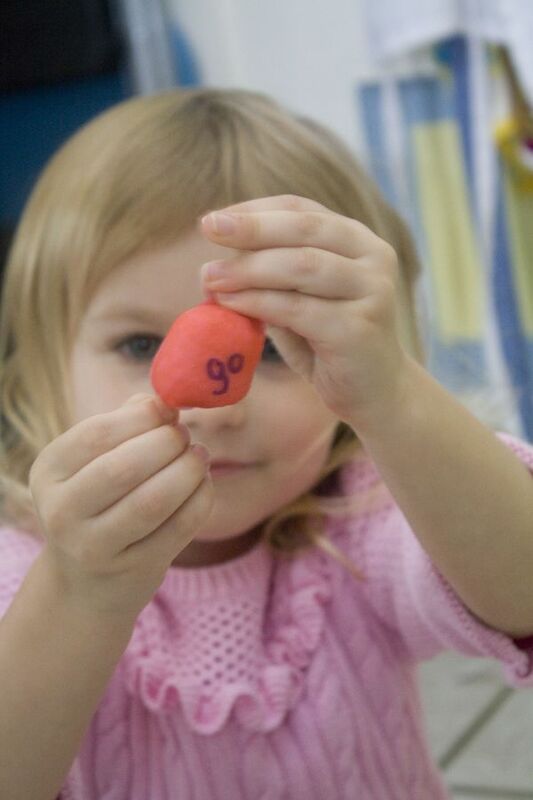 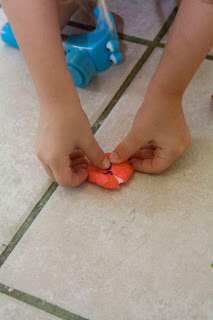 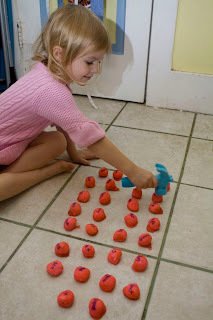 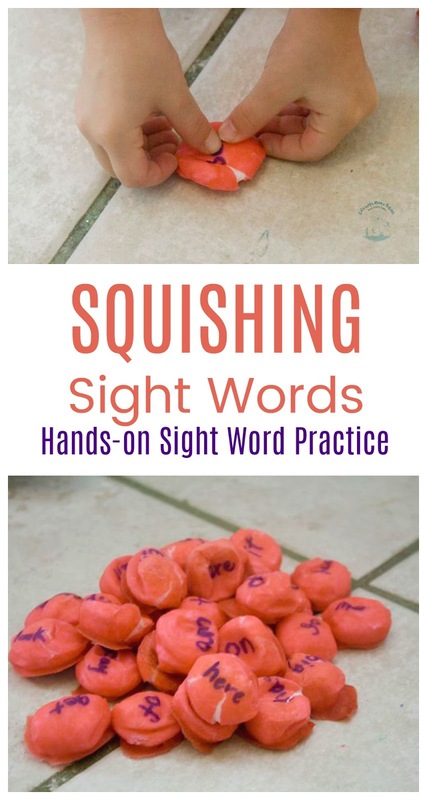 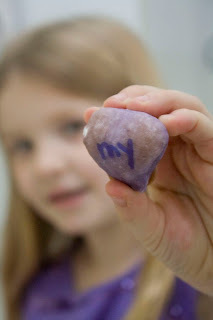 Squishing them gave us some relief from our repetition and was a great hands-on, or in our case feet-on, way for kids to practice sight words! 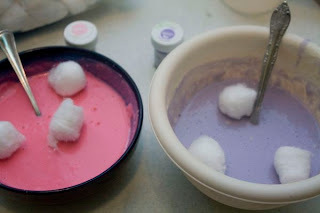 We started with the baked cotton ball recipe from Play, Create, Explore. I doubled the recipe to make sure I had enough, and I had more then enough! 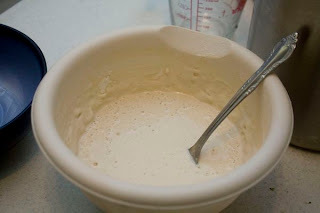 So I started with 2 C of flour and 2 C of water mixed together. 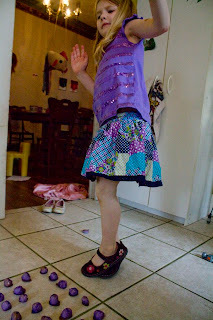 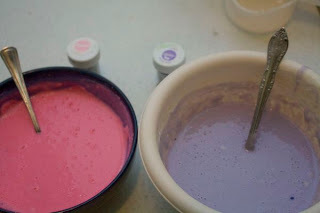 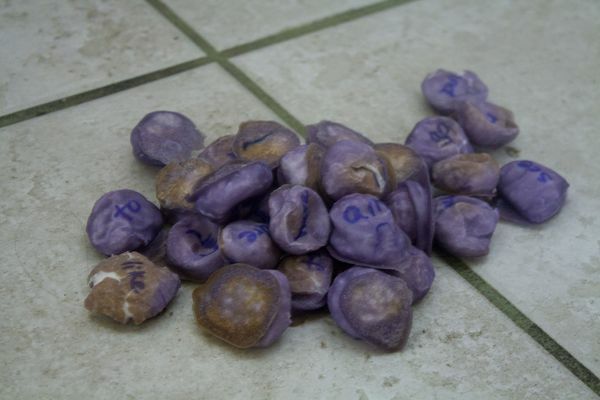 Then I added some food coloring (pink and purple, so each girls could have her own). 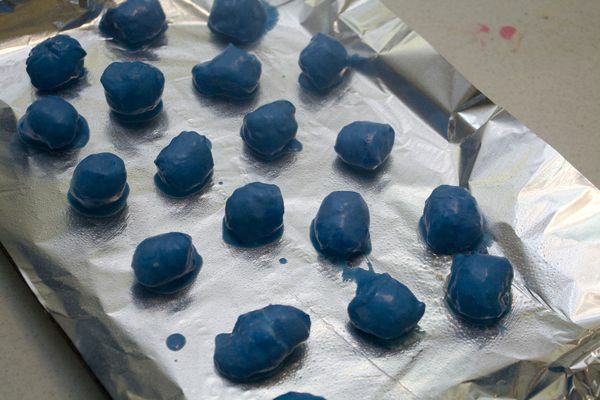 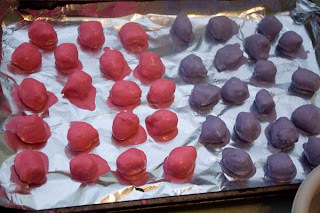 Then I dipped the cotton balls and placed them on greased cookie sheets. Much prettier then any candy I make! I even had enough to make some for Eli! I baked them at 300 degrees for 1 hour. 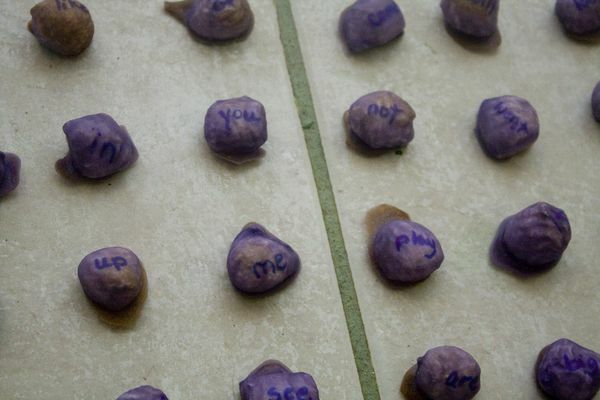 Once they were cool, I used a sharpie to write some of the girls sight words on them. And we kept going until they were all squished! 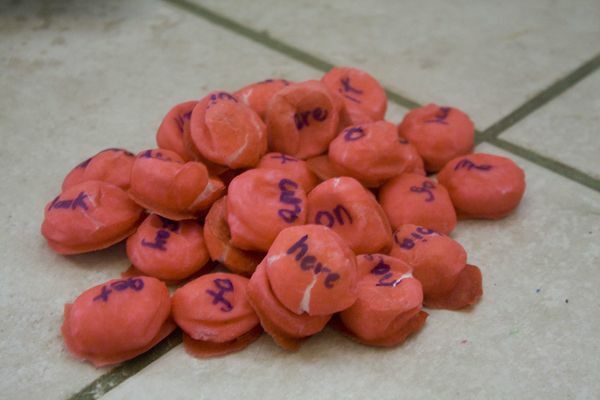 Then I had the girls tell me the words as they picked them up and squished them again. By this time Eli was awake so he could play with his. 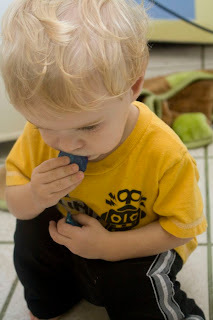 He tried squishing a few, but quickly decided they were more fun to eat! ICK! He also liked trying to tear the soft insides out.